Perfectly engineered for CAD and GIS print production, this series delivers complete reliability, precision and efficiency. Achieve operational efficiency with the Océ Folder Professional series. Fold wide format technical prints without manual handling at up to 18m/min (16 folded A1 sheets/min)* and integrate with selected printers for a fast end-to-end workflow. Ideal for CAD and GIS print production, the 6011 is the perfect finishing tool for high-speed, top-quality folding. No manual handling is required and you have 99 editable folding programmes to adapt to suit every printing order. Print and fold with precision thanks to the 6013. Handle large format technical drawings of up to 914mm (36 inches) wide without manual interference and benefit from optional tabs and reinforcement strips for truly exceptional output. 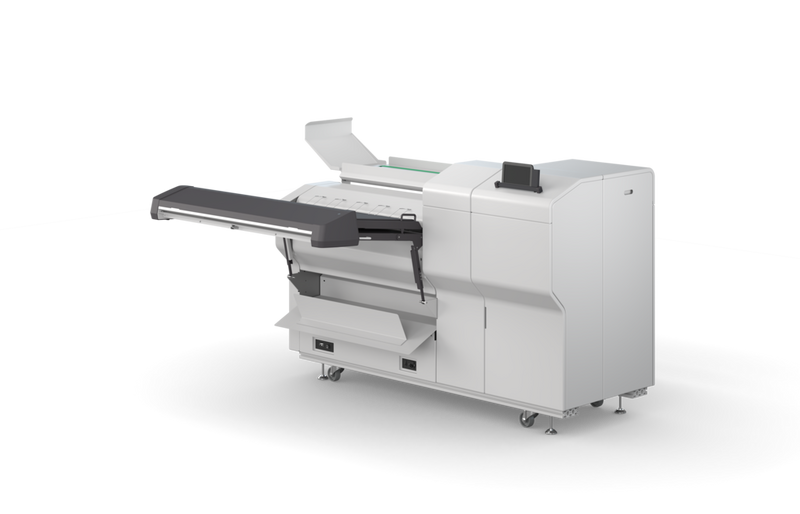 * Folder Professional 6011/6013, in combination with the Océ ColorWave 9000 printer, offers an output of up to 16 folded A1 sheets/min (workflow with Océ ColorWave 9000 requires a High Speed Folding Licence). Regular folding speed is 2.5-10m/min.